Record breaking Triumph TR2 for sale. You will need deep pockets for this one. I don't know how to transfer the listing, sorry. but worth a look. What a beauty. This is the story... 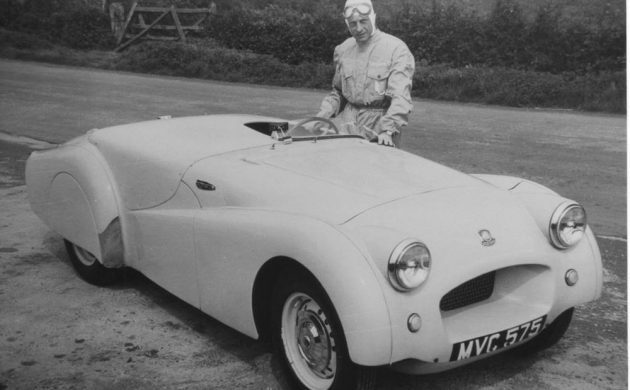 In May 1953 Ken Richardson, development engineer and test pilot for Triumph, drove a TR2, fitted with a standard engine on the Jabbeke motorway in Belgium and reached an average speed of 124.889 mph. At that time this was a World speed record for a production car with a 2litre engine. This feat in Jabbeke really cemented the TR2 as a firm contender to sell well in Europe and the USA and make the TR marque successful to the end. 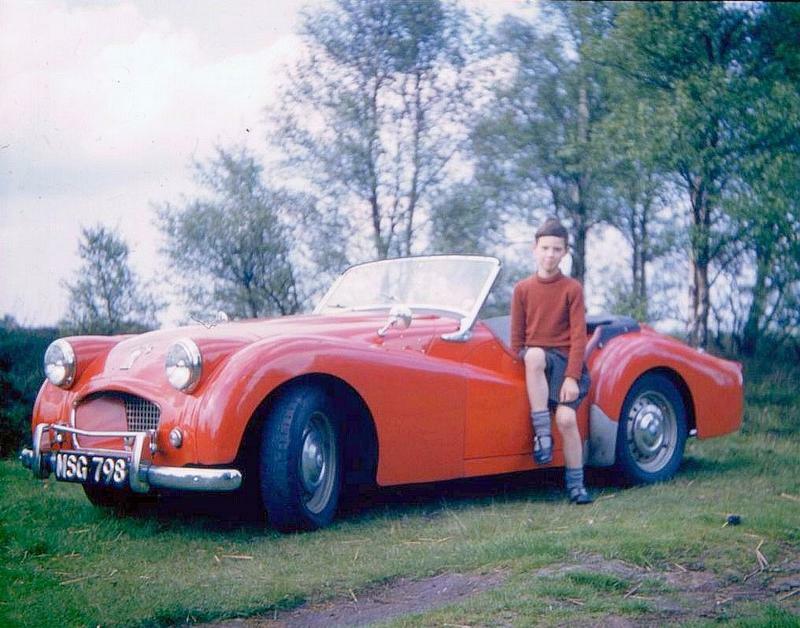 MVC 575 was used as a Standard Triumph hack/test bed and was not looked after and eventually it was sold on, used and abused like any other sportscar, time took its toll and it suffered the usual amount of rust and was dismantled with restoration in mind and sold. Unfortunately MVC 575 has been left virtually untouched since 1976, Glen the founder of Protek Engineering bought the car just a few months ago with the aim to restore it back to it’s former glory. With the help of Moss Europe as main sponsor and parts supplier the progress he has made is phenomenal as you can see by the recent photos. This is what the TR Register said about it. Thanks for uploading that and for all the extra information. Thanks for posting. The third link of the three that I posted is probably the most interesting. It clearly must have been aerodynamically pretty good to achieve 124 MPH with 90 BHP. 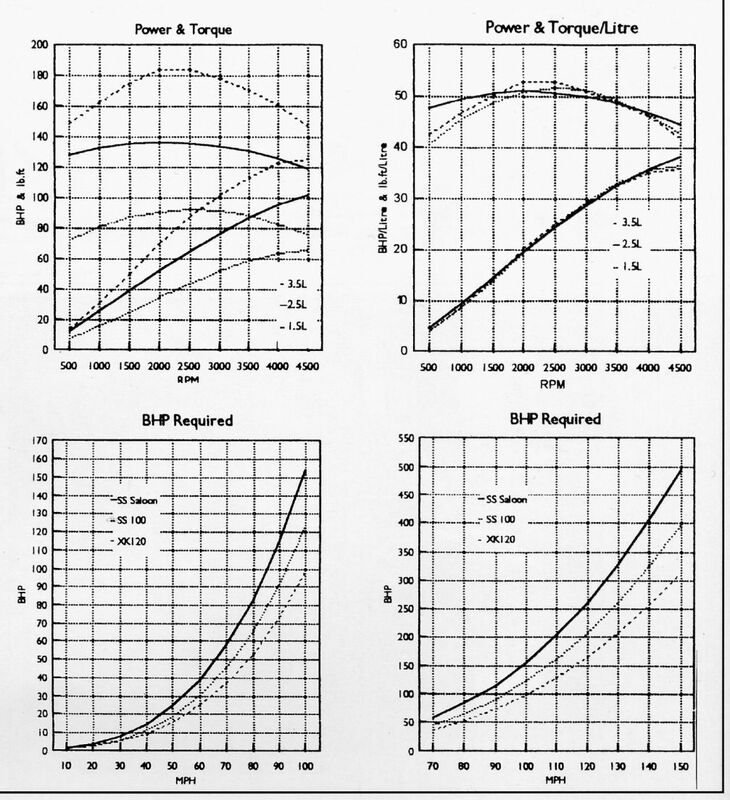 Compare this with standard XK120 in my power and speed graphs that required something like 180 BHP to achieve the same speed. The boy sitting on MSG798 is me.